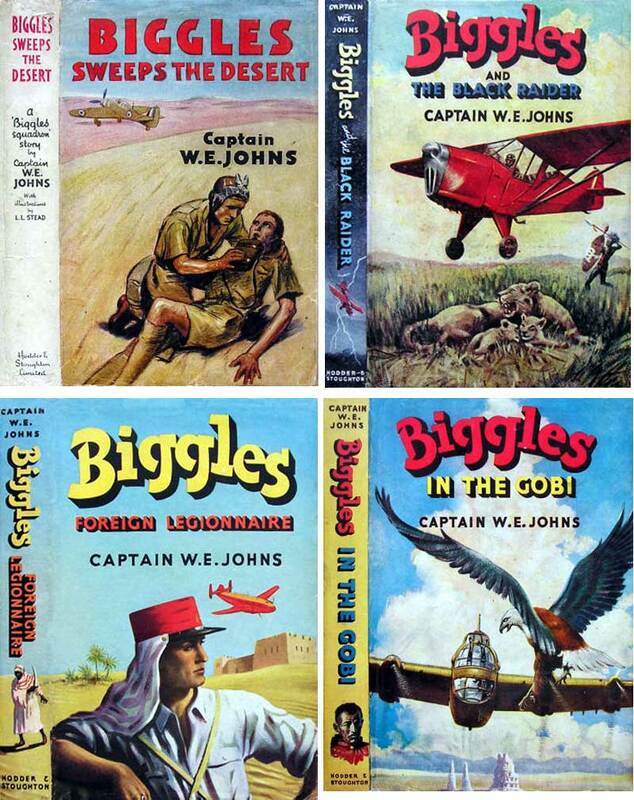 1955 saw the issue of ‘Biggles’ a game based on the books by Capt W E Johns. Leslie Stead illustrated more than 90 of Capt W E Johns’ books and he also designed the cards which were published by Pepys Games. 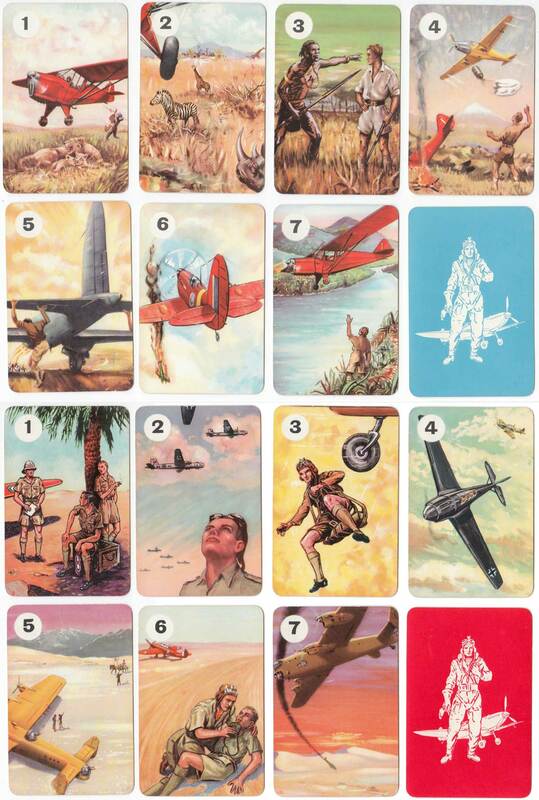 Above: cards from ‘Biggles’ game illustrated by Leslie Stead and published by Pepys Games in 1955 based on the popular books by Capt W E Johns. Original Biggles artwork by Leslie Stead. All images courtesy Rex Pitts.